The Return of Photographs – what does it mean for Aboriginal people? 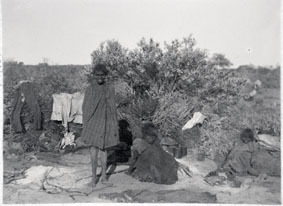 The process of returning historical photographic collections to Aboriginal communities today is a complicated process. This is why it is fundamental that the process of returning photographic materials is handled in a culturally appropriate manner. 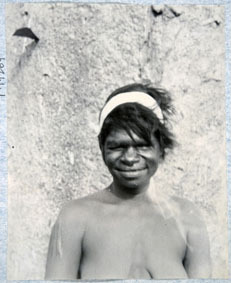 Having personally worked with Indigenous visual and audio archival collections previously and been involved with the returing of photographs to communities – some of which contained culturally sensitive materials, it is important to fully understand the significance these compilations represent for Indigenous peoples. It is often said that a photograph can speak a thousand words, but for Indigenous peoples these archival images represent so much more. Not only do they depict images of people’s ancestors, their country and places of significance, but they become ‘living entities’ in their own right – able to remove themselves from the Western concept of ‘the past’ and place themselves within the ‘here and now’. By recording our histories within oral traditions, Indigenous peoples were able to keep alive the memories of love ones and the knowledge of country without the necessity of the archival record. Having said that however, with greater access to relevant visual collections, our Indigenous peoples and communities today are able to amalgamate the visual image with their oral stories and histories. As a result, the concept of time becomes somewhat blurred whereby the past, present and future co-exist in the here and now. 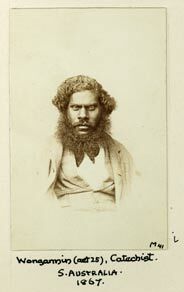 Many collections today are welcomed by the majority of Aboriginal peoples who see these records as evidence of their survival and strength, not as depictions of a ‘dying race’ or the colonised. What is more important to community members is the people, places of significance and country that can be found within these images. 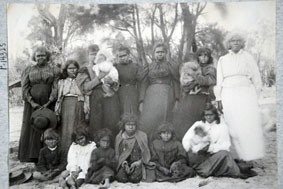 The photographic archive is a powerful source of information for Aboriginal peoples. In each image we see where we’ve been and in turn what we’ve become. They are ‘living’ proof that Aboriginal people are survivors and that our culture has survived through tremendous adversity. 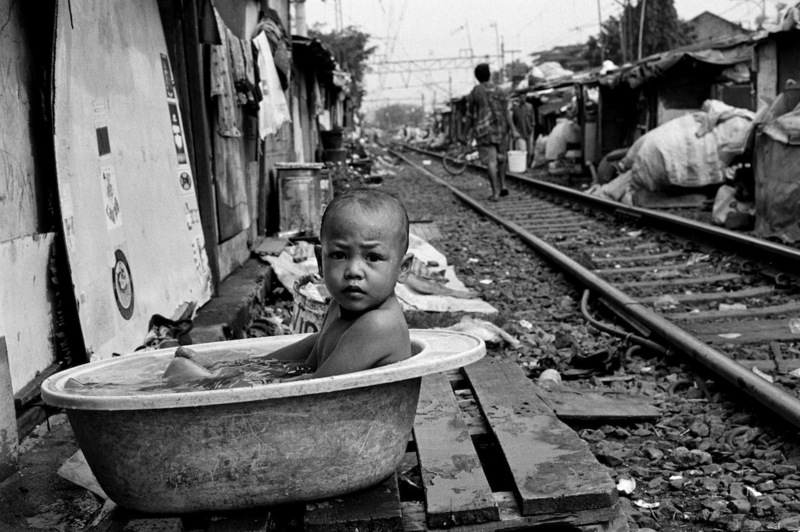 The importance of the photographic archive? Visual repatriation is, in many ways, about finding a present for historical photographs, realizing their potential to seed a number of narratives through which to make sense of the past in the present and make it fulfill the needs of the present. 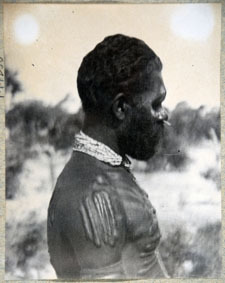 Traditionally, Aboriginal people recorded their history orally and were able to keep alive the memories of loved ones and the knowledge of country without the necessity of the written word or archival record. Since colonisation however, people’s oral histories in many places have become fragmented. With access to relevant photographic collections, Indigenous people/communities today are able to amalgamate the archival image with their oral histories. As a result, the concept of time becomes somewhat blurred whereby the past, present and future co-exist in the here and now. Not only do they depict images of people’s ancestors, their country and places of significance, but they become ‘living entities’ in their own right – able to remove themselves from the spectrum of time and the Western concept of ‘the past’ and place themselves within the ‘here and now’. In the past, Indigenous interaction with Institutions like museums and state government run libraries and departments have been limited and one sided. In many cases Indigenous peoples had become the object and subject of archival collections –collected and archived through the eyes of the non-Indigenous outsider. However, with greater access to resources that allow Aboriginal communities greater agency, the process of reconciling aspects of the past can begin. 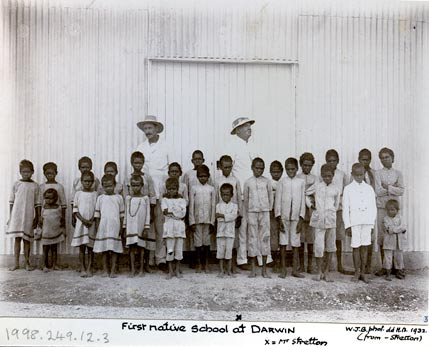 With Aboriginal peoples now looking back at these institutions through the looking glass (so to speak), the relationship between institutions and Aboriginal people can be based upon a more equal footing. Finally, with access to these images, we as Indigenous people are able to come full circle – what was then has become the now. For many today, finding and receiving images of one’s ancestors may be the only link people have to their pasts. It is especially relevant for members of the Stolen Generations who were forcibly removed from their families and cultural heritage. Thus, they are able to begin a healing process and find – for want of a better term – an ‘end in the beginning’. It is also rewarding to be a part of a process that can also bring so much joy to many Indigenous families and communities who are able to view images of their ancestors long since departed. 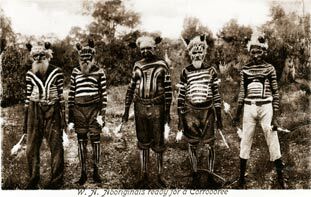 What was once a research tool used to “study” Aboriginal peoples, the photographic archive has now become an amazing window into our pasts.